Is your child a shutdown learner when it comes to reading? This is the child who has tried and tried to learn to read and has simply given up. These children have decided that it’s not for them and they don’t want to try anymore or feel embarrassed as a result of their failed attempts. It can be frustrating for all involved, especially for your child. It’s hard to know where to start, so here are my 7 steps for getting your shutdown learner to start reading again. You need to give them as much support as possible. Step 1: Find out what their friends are reading. There are lots of ways you can do this, you could simply start by asking your child what their friends are reading. If your child doesn’t know, ask their teacher or a parent of one of their friends. Local bookstores can also provide information on what books are trending. Lastly, you could pick a movie that is also a book, find something they enjoyed or is popular at the cinema. The important thing is to find a book that interests your child and one they want to read. It’s ok if the chapter book isn’t something they would usually attempt to read on their own because you’re going to help them. Having two copies of the book is really important. You will need to own at least one, as you will be highlighting words in the book. Get started by reading the book to your child, they can follow along, tracking the words with their eyes as you read. Start by reading to your child each night for a set period of time and try for the same time each night. Let them know you will be reading to them and all they have to do is listen and follow along. Find a quiet place with no distractions, turn off the TV, put phones away and tell siblings, partners or spouses that you need a block of uninterrupted time. We all have busy lives, so fitting this in can be hard, but find a time that works for you and your family. Identify some keywords that are repeated throughout the book. These keywords may be the name of the main character, a place in the book or words that you might want to focus on. Use a different coloured highlighter for each word. The main character; let’s say Benjamin might be blue, the castle they visit, Hopetown, could be red and the horse Roger, might be green and so on. Step 5: As you progress through the book highlight more and more keywords in varying colours. Now that you have highlighted multiple keywords, your child can easily identify the words that are repeated throughout the book. This highlighting helps your child follow along with you as you are reading. Set the pace of your reading to the pace of your child’s tracking, their tracking will improve the more you read. 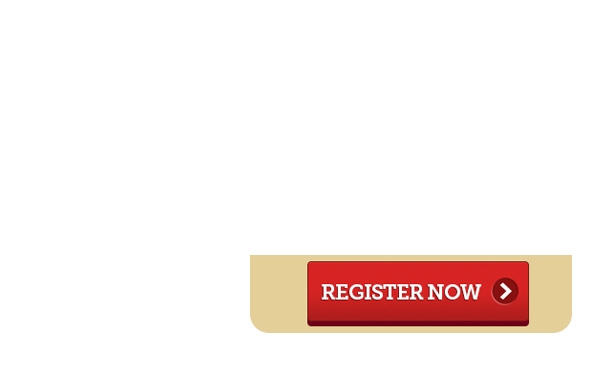 This part will depend on your child and their willingness to participate. You could start by having your child just read along with you. If they aren’t ready for that, they could simply read the highlighted words as you come across them in the story. As their confidence grows you could read a sentence each or a paragraph each, until they are reading a page at a time. You will know what your child is capable of, so let this develop at a rate that suits your child. Use expression when you read and different voices to make it fun for you and your child. Kids remember when you make time for them one on one. Make this a special time that you share together a time they will remember forever. Remember you may have to take these 7 steps slowly, at a pace that suits your child. It may take several books before they are reading paragraphs with you. Just make a start, take it at their pace, highlight keywords and develop a special routine with a story they are interested in. With a shutdown learner, it may be a case of trying different books, different times of the day and different strategies, until you crack a winning combination. Keep trying until you have success, it is possible. If you try these 7 steps and after a few months your child is still not making any progress or can’t identify any words in their books, please consider doing some more research into what is holding them back. 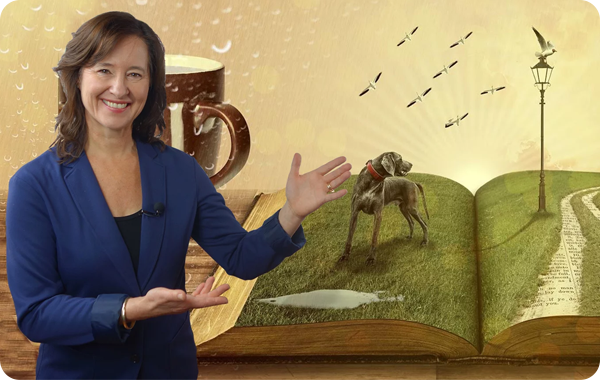 You may like to watch my video here on 6 Reasons Why A Child May Be Struggling To Learn to get some more ideas on how to identify their issues and for ways to help and support them. 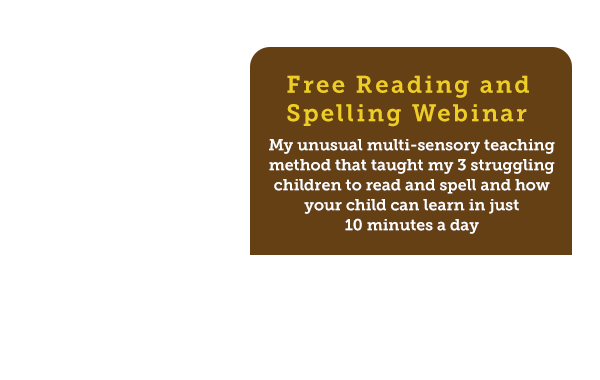 You may also like to watch a webinar on my new reading and spelling method the Speech to Spelling Code™ here. 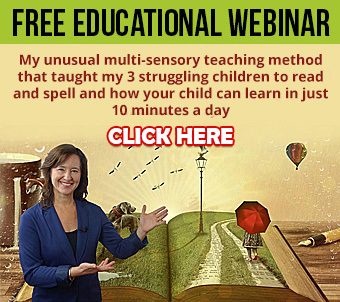 It has been created specifically for children who struggle to learn to read and spell at school and need a multi-sensory way that suits their learning style.